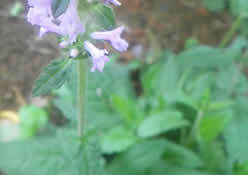 Motherwort and wood betony are members of the same plant family as the more well known mints. This old fashioned combination will gently ease nervous tensions and calm the heart for better rest and relaxation before sleep. Recipe Instructions: Herbal Tea :Chop fine and mix well. Put a large tablespoonful in a teacup, fill with boiling water, stir and infuse for 20 minutes. Strain and sweeten to taste. Drink the warm infusion before going to bed for a restful nights sleep.